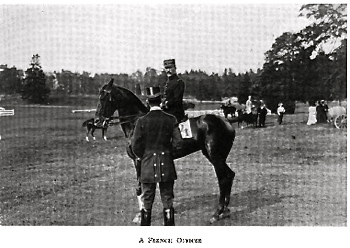 The following is the final part of the 1913 “RASP” article “American Officers in the Riding Competitions, Stockholm, Sweden” by Captain Ben Lear, Jr., Fifteenth Cavalry. Captain Lear’s description of the problems that the team faced during preparation and competition show the grit and determination of our first Olympic equestrian team. I part 3 he compares the preparations made by other competing countries and talk about methods of selection. He makes a point of letting the reader know that the U.S. team did not have the numbers nor the quality of horses to choose from that he felt are required to produce a wining team. While I have no doubt that this was the case, I find it interesting that lack of good horses has been the cry of the USET for as long as it has been in existence. As Captain Lear notes , “no one will deny that many fine horses can be found in the United States”, which might make one think that there is some other reason for the shortage of superior horses available to our Olympic teams. From what we learned in Stockholm, Sweden started in a general way to prepare for the Olympic Games several years ago, their regular training beginning eight months prior to the date set for the games. In the spring of 1912 five large tests were held. In the first of these about eighty-five officers competed, sixty-five horses completing the test. In the succeeding competitions the numbers were gradually reduced until the six best men and horses for the various competitions were selected. Germany had about sixty-five horses at the Hanover School in training for this competition. They arrived at Stockholm with about eighteen horses and used different horses for the military test, and the prize riding and prize jumping competitions. Russia brought some sixteen horses to the games. 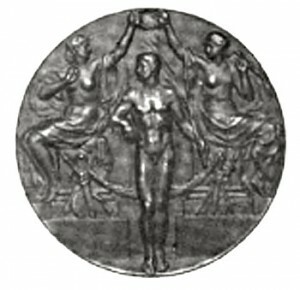 For some unknown reason they withdrew entirely from the military competition, entered only one man in the prize riding, but centered their efforts on the individual and team jumping events. The horses entered by the different nations would rank in excellence about as follows: Germany, Russia, Sweden, Great Britain, Belgium, France, America, Denmark. “It is due, however, to Captain Henry, Captain Lear, Lieutenant Montgomery and Lieutenant Graham to emphasize the fact that they entered this contest under the embarrassing condition of being very much outclassed as to horseflesh. They had few animals to select from, and these not of a high character; their time for preparation was short, and as they were not relieved during this preparation from their regular duties it involved excessively hard physical work, the effects of which they all showed when they sailed from NewYork, but from which the favorable voyage enabled them to a great extent to recover before arriving at Stockholm. A comparison might be made between the “Horse Riding Competitions of the Olympic Games,” and the New York Horse Show. Both are most valuable to the Mounted Service, but the former partakes more fully of the requirements of a high class type of officer’s charger, while in the latter any horse with only ability to jump could go in and carry off many valuable prizes and ribbons. But he could not be ridden with troops. The experience our officers get in judging the conformation of the many fine animals seen at the Horse Shows, watching their training and the work of the riders should well repay the Government for all the expense in sending its officers. Now, what about the next Olympic competition which will be held in Berlin in 1916? 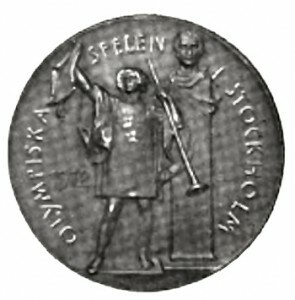 Were you not surprised to learn that Sweden had spent several years in preparing for the 1912 games? They did, and they won. I can see no good reason for our not winning in 1916. We must not be satisfied with any place except first place. It seems to me it is “up to” the graduates of the Mounted Service School to accomplish this. Good horses are hard to get and “come high” but no one will deny that many fine horses can be found in the United States. Any officer to whom the Government has given a course of instruction in equitation and horse training at the Mounted Service School, can well afford to spend from $500.00 to $800.00 for a first class hunter. At that price he may get only an unmade or green hunter. Then, if after training the horse is not good enough for Berlin, he could be sold for more than he cost and another one tried. In my opinion the time has come when the old stereotyped excuse of “inferior horses” must be dropped. We must buy them ourselves, in the green if necessary, give them a long and careful course of training and then go in and win! We should begin without further delay. In preparing this article, I have freely copied many paragraphs contained in Captain Henry’s official report made to the War Department on his return to the United States. It is putting it mildly to say that the junior members of the team are grateful to Captain Henry for the very excellent instruction given us during our many months of training, for his consideration while en route to Stockholm, at that place and during the part of the return journey we remained together.